New analysis by the Bipartisan Policy Center (BPC) which has been shared extensively with members of Congress estimates that the Treasury Department would not be able to pay all its bills and would need to implement an immediate 44 percent cut in federal spending in the event of a default. On an annualized basis, the cut in spending alone is a 10 percent cut in GDP, BPC scholar Jay Powell told reporters. The report released Tuesday concludes that Treasury would not be able to pay all its bills between Aug. 2 and “probably” not later than Aug. 9 if the debt ceiling is not increased. 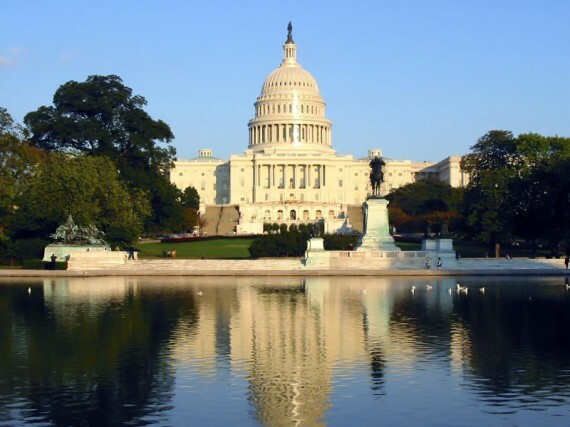 The day-by-day picture of default shows a 44 percent cut in federal spending. It concludes that the daily inflows of revenue and outflows of obligations are “lumpy” and it would be difficult for Treasury to prioritize 80 million different payments. For the month of August, the deficit from Aug. 3 to Aug. 31 would be $134 billion. “If you are going to be cutting 44 percent of the budget overnight, you are going to be cutting many popular programs, there is no way to avoid it,” BPC scholar Jay Powell told reporters Tuesday. “The result would be chaotic,” he said, noting the current inability of Treasury computers to handle the payments. Moody’s chief economist, and former McCain economic adviser Mark Zandi is forecasting GDP growth of 4 percent by the end of the year and into next. But in response to a question from TPM, he told reporters at a breakfast meeting hosted by the Christian Science Monitor that his forecast would be “blown out of the water,” if Congress fails to “reasonably gracefully” raise the national borrowing limit. 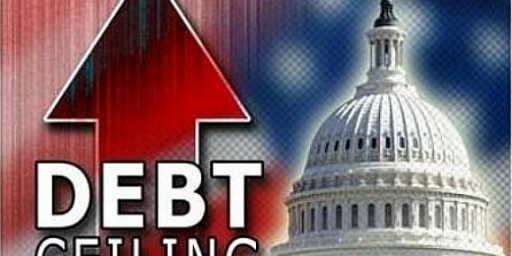 If Congress fails to raise the national debt limit by early August, the Obama Treasury Department will have to choose between defaulting on obligations to the country’s creditors — triggering higher interest rates and perhaps damaging the country’s credit rating for months and years to come — or freezing outlays to contractors, entitlement beneficiaries and others who are also expecting prompt payment as well. In either case, the macroeconomic impact will be staggering, according to Zandi. Are you listening Congress? Because your drop dead date is only 35 days away. Republicans don’t seem to care about the economy. They want Democrats to either accept their demands or they will destroy the economy. Country First! I say crash it and let the so-called conservatives answer for their lack of action. Well…probably not a great idea…but deeply satisfying to think about. If these idiots aren’t interested in governing why don’t they just go be linguists and let the adults do the hard work. The real economic issue here is the potential negative impact on interest rates. The country needs higher interest rates at present the same way a cancer patient would need a few more tumors. Obviously that’s a primary political issue too, especially for the CIC. The secondary political issue is that a shutdown also would hurt Republicans, in that it would allow the Democrat media to portray with a certain modicum of veracity the GOP as the party of obstruction. That’s ultimately why both sides should strike a deal. Rambobama simply can’t afford to have the disastrous economy of today turn into a Hooveristic economy next year. The GOP can’t afford to motivate Gradma Democrat to crawl out of her iron lung next year to vote in multiple precincts against the evil Republican grinches. Does a shutdown mean pulling back all our troops because we can’t pay for them? 35 days away? What a coincidence, that is the same day that the GOP is launching their “Obama has destroyed the US, elect a republican in 2012” ad campaign. Increasing the debt ceiling means the nation will create a debt it can never pay off and that will collapse the economy. At some point lenders say no. Don’t agree, try it. The answer is simple. Stop spending money you do not have. The answer is simple. Stop spending money you do not have. It’s even simpler. Stop the things that’s raising the debt. The Iraq and Afghanistan wars, Medicare D, and the Bush tax cuts (that Obama extended). At some point lenders say no. And yet, it’s so easy for the US to borrow money that we’re able to do so at virtually zero interest. So when will they start saying no? The current distrust in US Treasure Bonds isn’t due to the growing deficit, nor the lending. It’s due to the threats about not raising the debt ceiling. By politicians putting party before country. Blockquote failure. Should learn to always preview before posting…. Have you checked who’s buying treasuries these days? China has largely divested itself. The largest customer for treasuries recently has been the Federal Reserve. Yes, the Federal Reserve pretends to buy treasuries and the Treasury pretends to pay interest. A fiat currency is a wonderful thing. Until, that is, people don’t trust it any more. A fiat currency is a wonderful thing. Until, that is, people don’t trust it any more. Our GDP is nearly three times that of the next country, China (basically tied with Japan for 2010). Nobody is actually worried that the US will suddenly be poor and unstable. That an immediate, drastic, spending cut is also an immediate, drastic, GDP reduction is a good observation. There are some very interesting under-currents regarding the 14th amendment and the idea that the debt ceiling is un-constitutional. It would be absolutely beautiful for the White House to play that card and watch the so-called republicans fall all over themselves trying to counter. There is a press conference scheduled for this morning…could it be??? I wish – but Obama just isn’t that radical – he’s way too moderate to pull something like that.